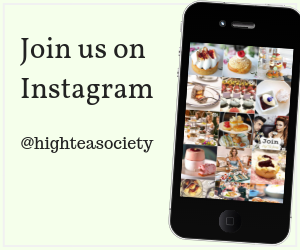 The historic building is now home to boardrooms, a ballroom, seminar rooms and a highly awarded restaurant, where the High Tea Society recently had the pleasure of taking champagne high tea. 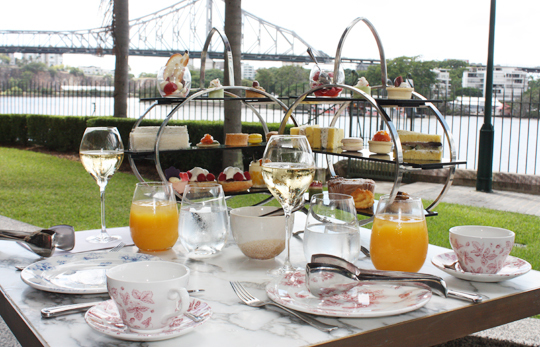 In terms of location, you’d be hard pressed to find a better view to accompany your high tea than at Customs House Brisbane. Situated in Brisbane’s CBD right on the river, our table overlooked the stunning Story Bridge – an icon and much loved feature of Brisbane’s skyline. We were seated on the terrace where the tables and chairs are quite basic against the historic backdrop of the building but the setting couldn’t have been more perfect. 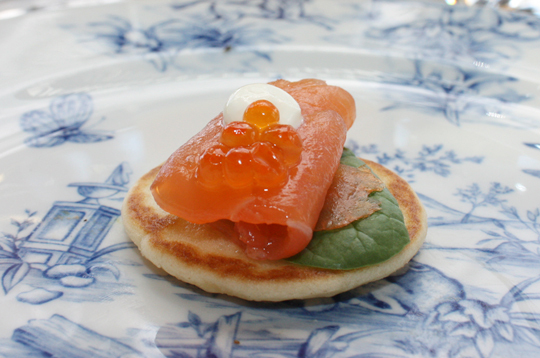 Our high tea began with a savoury selection of finger sandwiches and elegantly crafted treats. 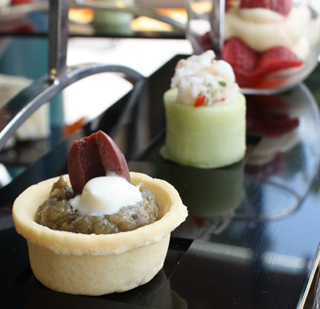 For me the highlight was the Queensland sand crab with sweet ginger dressing in a cucumber cup. 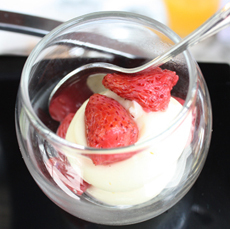 An explosion of flavours and textures in my mouth, this pint sized cup left us wanting more. 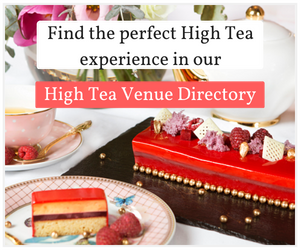 It’s especially nice to see an iconic building like this one featuring local flavours in their high tea, and nothing screams Queensland more than sand crab. 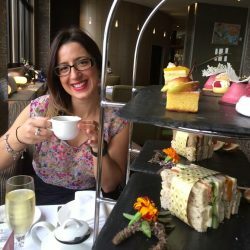 We were also served a glass of Veuve Clicquot Champagne, fresh orange juice and a selection of La Malson du The (French handcrafted tea selection). 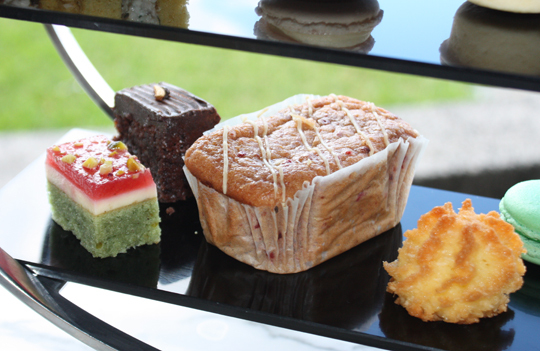 I chose the Darjeeling, which was fragrant and smooth, the perfect accompaniment to the next part of the high tea – the handcrafted desserts. 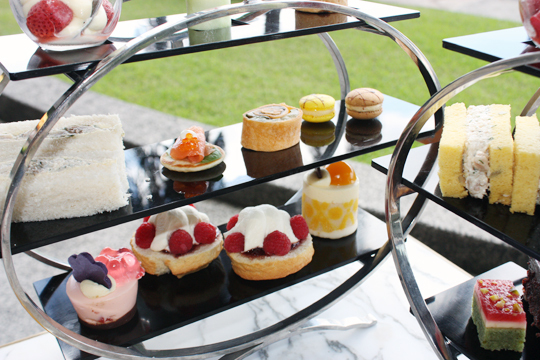 The sweet selection of this high tea was quite vast with already topped scones with cream and fresh raspberries. 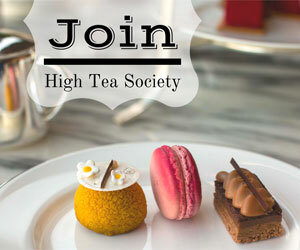 I have never been to a high tea where the scones come ready topped, and to be honest I’m not sure if I liked it. Scones are normally my favourite part of any high tea but I think it’s important that the guest choose how much jam and cream they put on their scone. The cream to jam ratio – or in this case raspberries – is an individual taste and in this case there was far too much cream on my scone and I found it too rich to finish. The other desserts were quite nice, the macarons in particular were lovely but the confit strawberry, mascarpone and biscotti were a highlight for me. This dessert was deliciously creamy and tart – the balance was perfect and the biscotti offered a beautiful bit of texture. Customs House also offers a gluten free Champagne high tea, which was very similar to the regular one bar a few changes. The gluten free option does not offer scones, instead offering a cake replacement and the confit strawberry mascarpone does not come with biscotti. But overall the gluten free option is on par with the regular one. 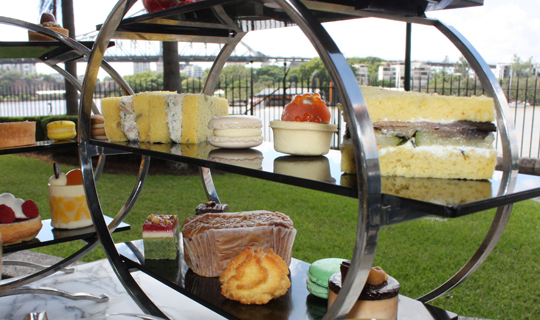 All in all, the high tea at Customs House is a pleasant one with lots of choice and flavour. With so much on your stand, you definitely won’t leave hungry or unsatisfied.